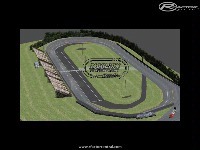 -Converted from N2003 for rFactor.Original N2003 track by Short Track Central. This version fixes "Pit laps not being counted and Saftey car issues." Please delete any other "Madison" folder inside your "Locations" folder. There are currently no setups for Madison. Add a Setup. If you want to read this content you have to install the flash player that was the name of software that was good to get. I need to have this software that was available on www.essayontime.com/services/research-paper.html this was the famous site that was famous among the all companies on it. Dont know what you did to update as I thought it was pretty dang good before. We are planning on starting our street stocks up again and look forward to putting this track on the schedule. Are there any other links to download the track? I have gone to the supplied one, but the download will not load, even with premium status! Would it be possible to email the .rar file to the following address? christopherharvey@smithgill.com I can take the large file size. Any help would be great. Thanks. Love this track!!!! It reminds me of Toledo. Is there a Flat Rock Speedway for nr2003? Did you happen to get permission from Short Track Sim .com and Jeff Shrewsberry the creator!?!?!? !